Just found a couple of pics of early projects that we worked on. 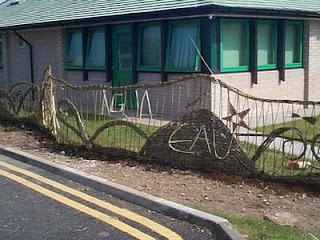 The first one is a Decorative Willow Fence on the theme of Water in the Eurozone. this was created with students at Dallam School, Milnthorpe, Cumbria. The second pic is of a display at the Chelsea Flower Show. 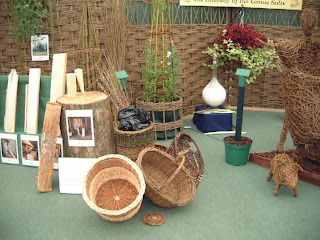 We worked with Capel Manor College, Enfield to make this display about the uses of willow. The display was for Lifelong Learning In The Garden and it was awarded a Gold Medal!